Terraza Café and Restaurant is the name of its main restaurant. That’s where we had lunch immediately after check-in. 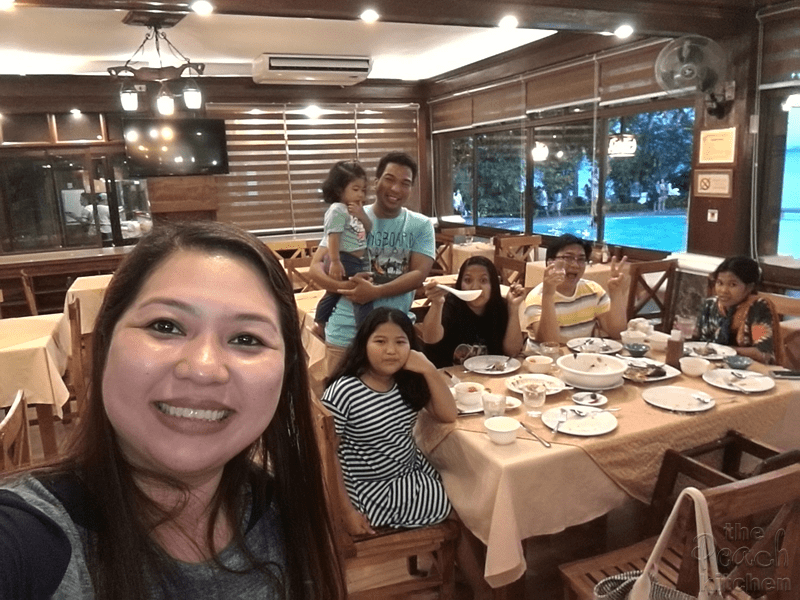 We didn’t want anything heavy that would make us want to sleep in our room after eating so we ordered light meals to share between the seven of us. 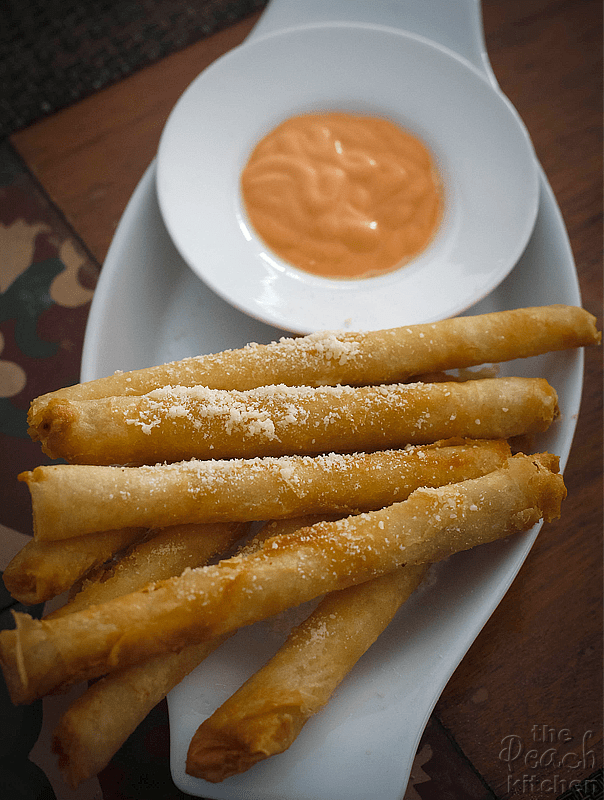 We had these Cheese Sticks served with Thousand Island dipping sauce on the side. 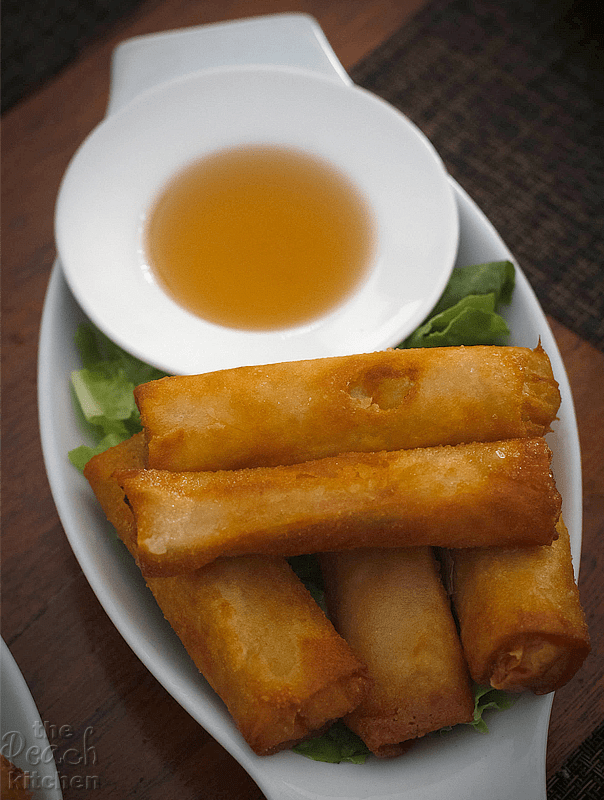 I was perpetually craving for Fried Vegetable Lumpia at that time so it has to be ordered. It was served hot and freshly cooked with vinegar dipping sauce on the side. 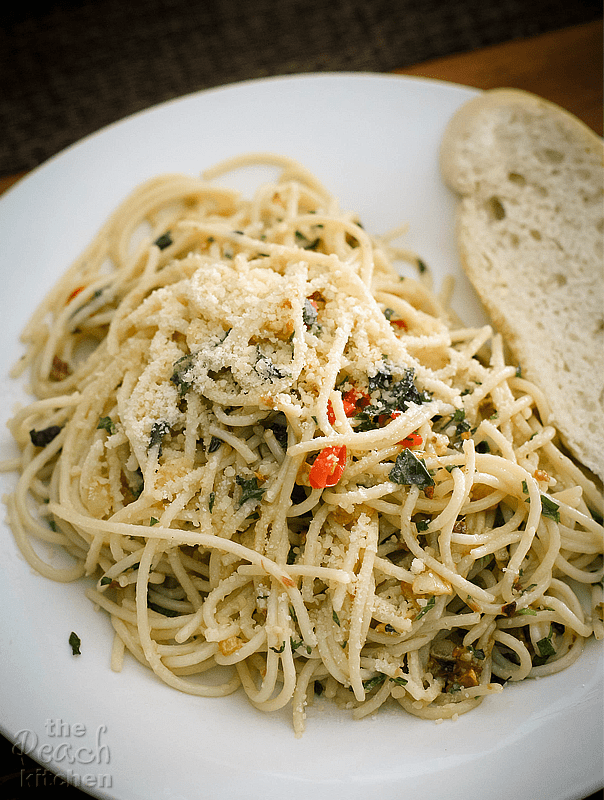 We also had Spaghetti Aglio Olio which is a bit spicy but very flavorful. We all loved it. 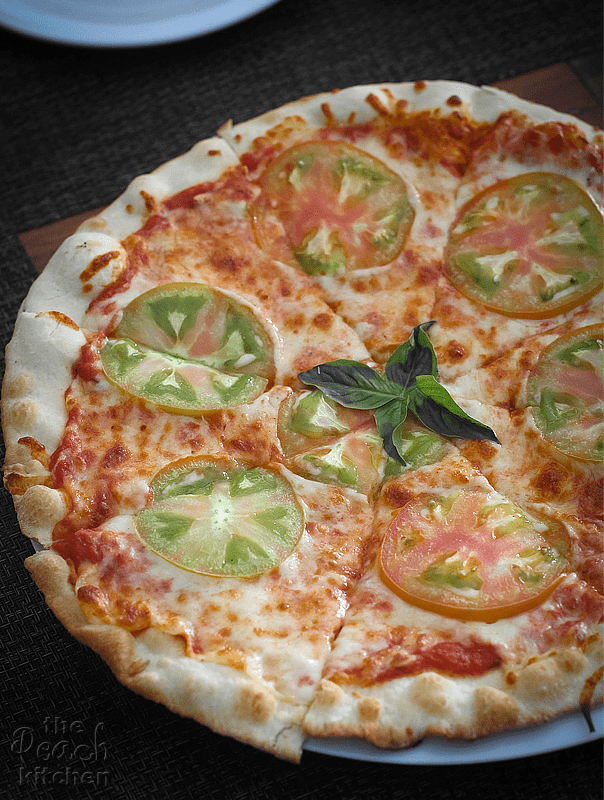 We also ordered this Margherita Pizza which is made up of pizza sauce, cheese, a few slices of tomatoes, and four basil leaves. 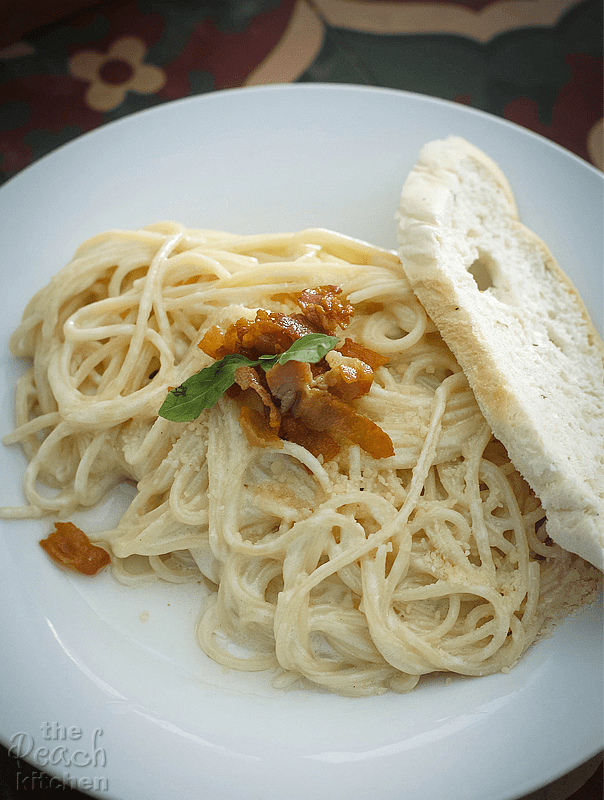 It was really good and I remember it cost us only ₱280. Such a reasonable price for a pizza which is good for four to five people. I wished there were more basil leaves, though. Dinner that night was at the same restaurant, of course. 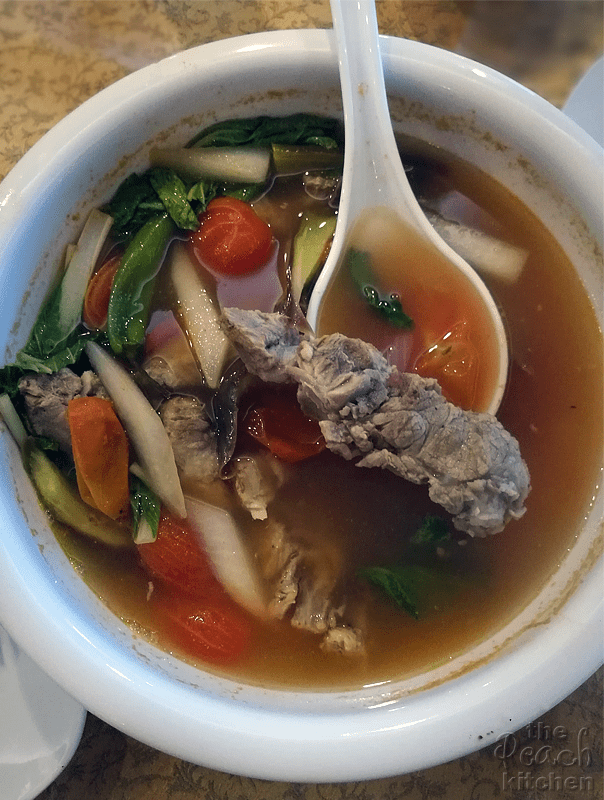 Because we just came from a whole afternoon of swimming, Ykaie wanted her favorite comfort food: Pork Sinigang. 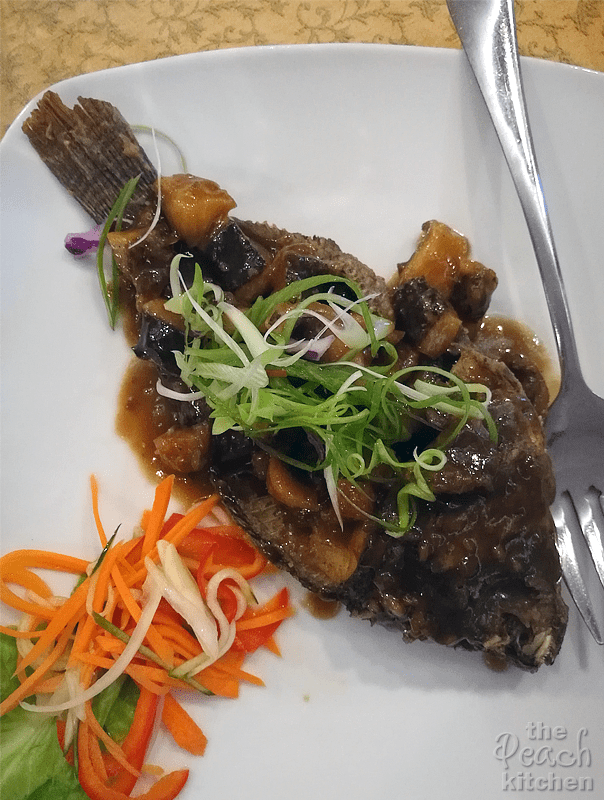 I loved this Tilapia in Tamarind Sauce, the tilapia was fillet, cut into bite sized pieces, cooked into a crisp and then served on its skeleton and drizzled with a tart and sweet tamarind sauce. I wanted a vegetable dish so we ordered their Pinakbet and it came with a nice surprising crunch. It has chicharon (or is that crispy liempo?) on top! 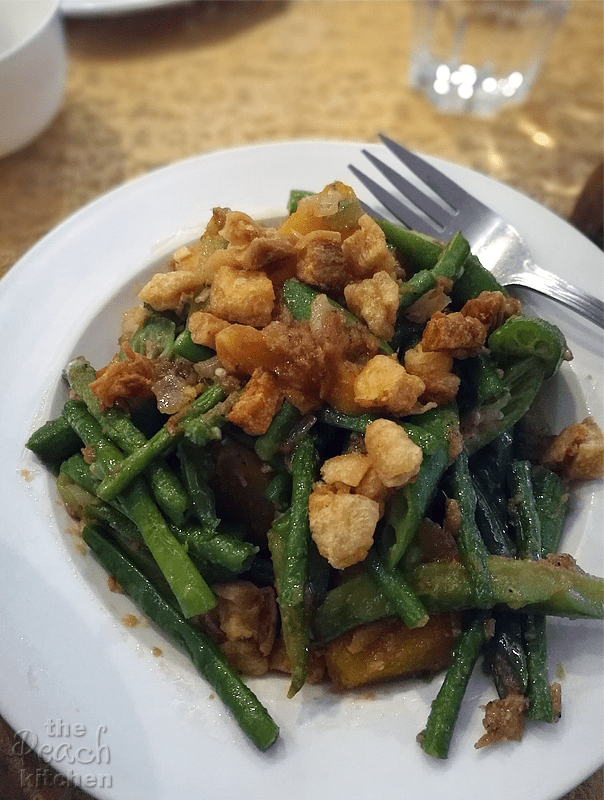 Ykaie loved this version of Pinakbet and she couldn’t get enough of those tiny, fatty, crispy chicharon bits.